In 1952, a group of aircrew assigned to the 54th Weather Reconnaissance Squadron out of Andersen Air Force Base in Guam were flying a mission in a WB-29 (essentially a converted B-29 Superfortress) south of Guam when they spotted villagers on the Micronesian island of Kapingamarangi waving excitedly to them. After quickly consulting with each other, the crew of the the WB-29 gathered together small knickknacks, trinkets and Air Force-issued gear that wouldn’t be missed if “donated”, crammed it all into a container with an attached parachute, then airdropped it onto the island where the villagers could recover it. From then on, an amazing and incredibly heartwarming Christmas tradition was born. 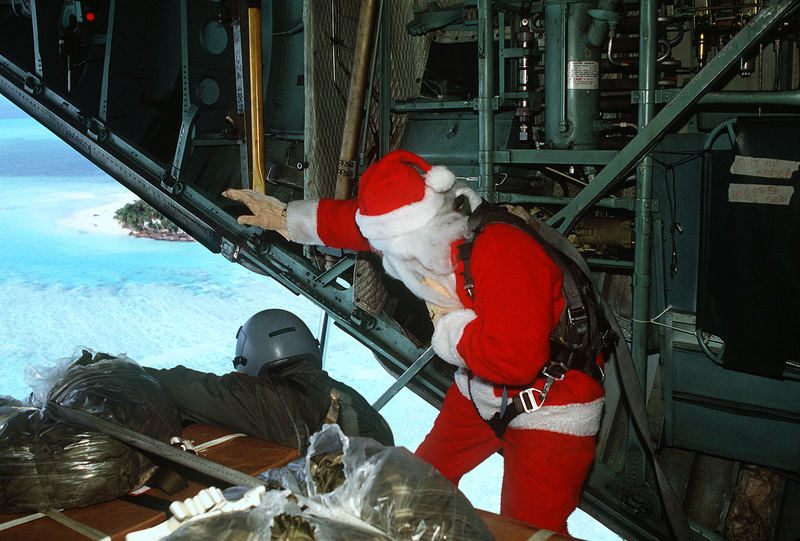 These days, Operation Christmas Drop, as it’s officially known, is an Air Force training mission that sees thousands and thousands of pounds of cargo airdropped to islanders in the region who are often without running water, sometimes electricity and other utilities that we often take for granted in our urban worlds. These containers generally include non-perishable food, toys, school supplies, construction gear and materials, clothes and shoes, fishing gear, medical supplies, etc. 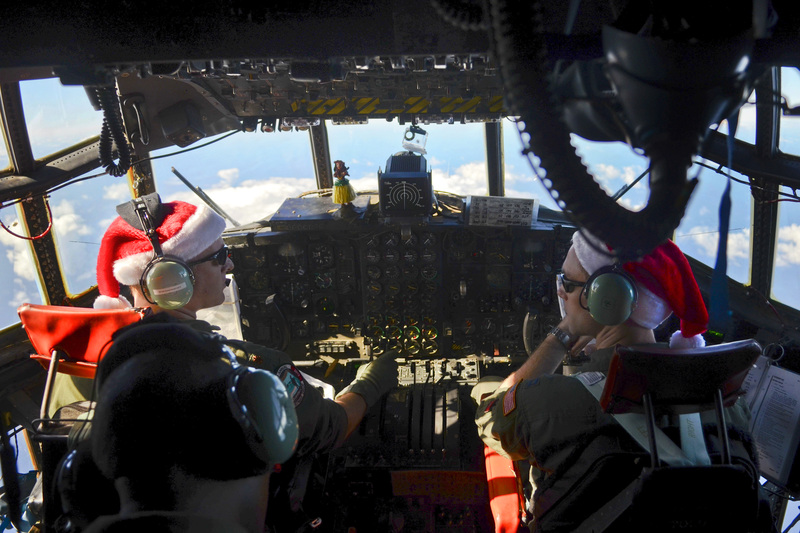 These days, aircraft and crew from the 734th Air Mobility Squadron at Andersen AFB and the 36th Airlift Squadron from Yokota Air Base in Japan participate in Operation Christmas Drop. The majority of good dropped to the islanders are donated or bought with the proceeds from various fundraisers and fundraising activities held throughout the year. All containers are dropped just off the beaches of the islands, lest anybody on the ground accidentally get hit. 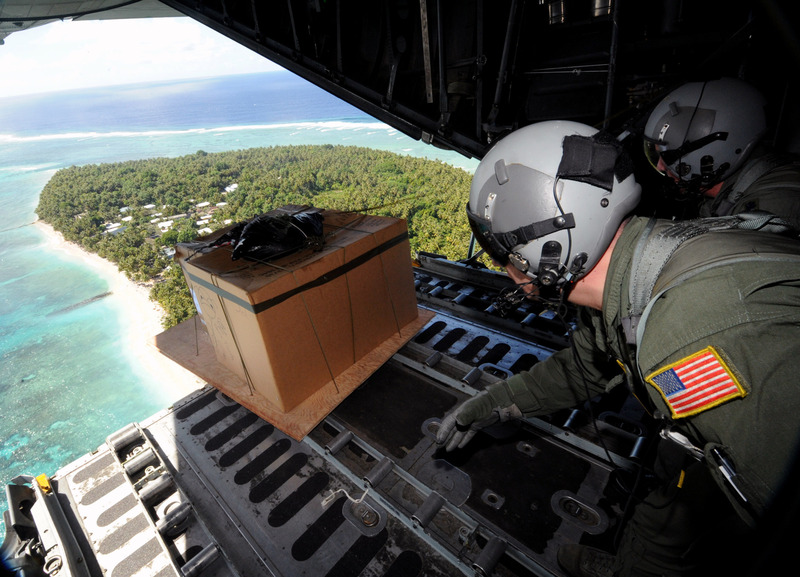 Operation Christmas Drop is currently the longest-running mission the US Department of Defense has ever carried out, and remains the oldest humanitarian airlift in the world.